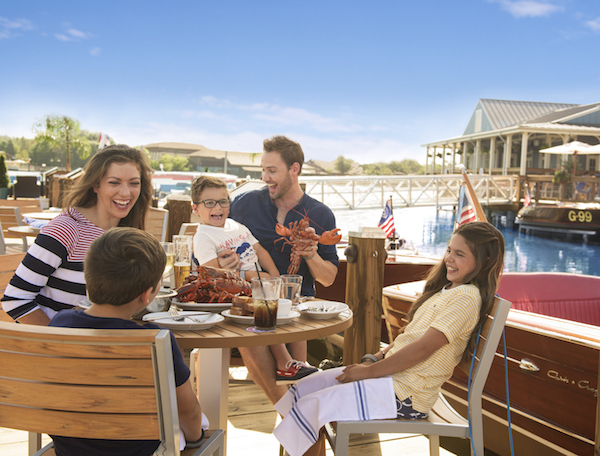 When dining out with the whole family in Orlando, there’s no shortage of restaurants and kid-friendly fare, but choosing from such a multitude of options can be overwhelming. We’ve cultivated a list of the best family restaurants in Orlando, where you can make even the pickiest of eaters happy and still enjoy your own meal. Bon apetite! That One Spot isn’t your typical burger and fries restaurant. You can get a simple beef burger with cheese to please picky eaters, but you can also get a creatively concocted turkey, salmon, veggie, or chicken burger. They also have a tasty selection of salads. And, the whole menu comes at an easy to swallow price point for a delicious lunch. Take your average panini up a notch or two at Hot Krust Panini Kitchen. Hot Krust is committed to using gourmet ingredients in their paninis, soups, salads, and sides, so you can feel good about what you’re feeding your family. This is a perfect cafe for a grab-n-go healthy meal. Grab the napkins and wet naps. Bubbalou’s Bodacious Bar-B-Que serves up classic BBQ with counter service, picnic tables, and roadhouse decor. Bubbalou’s has been named one of America’s Best Cheap Eats by Zagat’s Restaurant Surveys, as well as one of America’s Favorite BBQ Restaurants by Southern Living, USA Today, the New York Times, and Fortune Magazine. Specializing in food, art, and fun, Cafe Tu Tu Tango is sure to entertain your whole family or group. While you dine, local artists paint and display their art throughout the restaurant, and vibrant, and sometimes spontaneous, live music and eclectic dancers permeate the dining room. The menu mainly consists of tapas meant to be shared such as dips and spreads, brick oven pizzas, tacos, sliders, and seafood. If your kids (or you) are fans of dinosaurs, this is a must-do dining experience located in Disney Springs. Dreamed up by the creators of Rainforest Cafe, T-Rex Cafe is a similar concept, where you’ll be immersed into the prehistoric era and dine among dinosaurs. The experience is complete with entertainingly named fare such as Paleo Pizza, the Guac-asaurus Burger, and Tar Pit Fried Shrimp. If you’re looking for spot to relax for lunch or dinner in between rides in Disneyworld, The Crystal Palace is a great option located at the end of Main Street, USA in the Magic Kingdom. The buffet features a wide assortment of options, from prime rib and salmon to chicken fingers and mac ‘n cheese, that makes it easy to keep the whole family happy. Your kids will enjoy hanging out with Winnie the Pooh, Tigger, and other characters from the Hundred Acre Woods. Feeling hungry for Italian food in Orlando? Be prepared for some of the best and most creative meatballs you’ve ever had at the Meatball Stoppe. You can choose from everything from Nonna’s Classic, a traditional meatball cooked in roasted tomato sauce, to Jeffy’s Crab Ball, a fresh crab ball served with Red Pepper Roumalaude, and other tasty meatball varieties made from lamb, veggies, chicken. 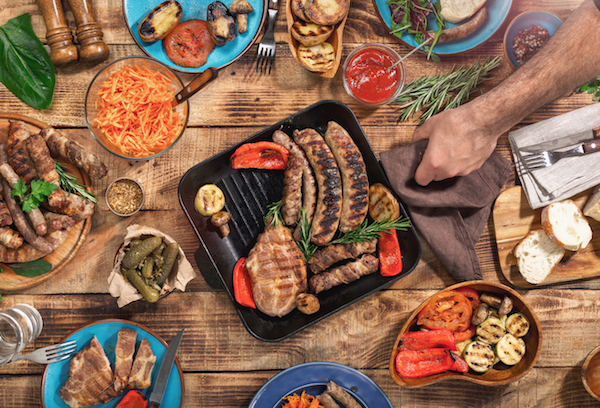 While the Meatball Stoppe specializes in meatballs, they also serve up incredible family-recipe Italian pasta plates, paninis, salads, and more. 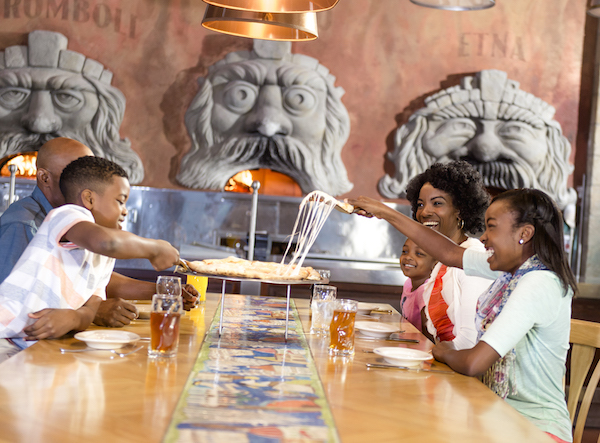 This restaurant has even been featured on Diners, Drive-Ins and Dives with Guy Fieri, Food Network and they’ve been named Orlando's #1 most family-friendly restaurant by USA Today’s travel guide. For a quick and easy, make everyone happy, kind of meal, visit Anthony’s Coal Fired Pizza for dine-in or take-out! Anthony’s focuses on fresh ingredients and authentic recipes for their pizzas, coal fired wings, Italian soul food, sandwiches, and more. Their pizzas are known for their well-done, thin and crispy crusts. Thanks for your interest in Orlando's top restaurants. We enjoy sharing the wonders of Florida with our guests. Orlando is foodie's paradise. Come taste Orlando's finest food!